Michel van Essen is the director of Van Essen Studio and the director of HEARTS for the Lord Homeschool Academy in Sterling, Virginia. He pursued his education in the Netherlands, studying theology at CHE and Leiden University, education with history at Rotterdam University, and Jewish liturgy at a small private institute called Levisson Institution. Michel began his teaching career in 2004, working full-time in the public school sector in and around Rotterdam. He taught history and worldviews as main classes and worked on some curriculum development for pre-vocational education programs that the Netherlands offers. In 2011, Michel moved to the United States of America and married his wife Kim van Essen. Together, they started a marketing company, Van Essen Studio, which has been serving the D.C. area ever since. As Director of Van Essen Studio, Michel is responsible for project management, senior development, and UX Design. 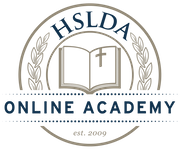 Michel later became involved in the homeschooling community and was glad to return to his original passion—teaching—through HEARTS for the Lord Homeschool Academy. He has taught history for total of 11 years, worldviews for a total of 7 years, physics for a total of 4 years, and computer science for a total of 3 years. Michel is passionate about education and the homeschooling community. He believes that the liberty in the U.S. to provide our children with tailored education should be used extensively with one ultimate purpose: to glorify God. Michel and his wife Kim have one son, Anson Job, and live in Paeonian Springs, Virginia.